Delaire Dental is excited to offer our patients the newest and most effective whitening treatment available today. The KÖR Whitening Deep Bleaching™ System is widely considered to be the most reliable and effective bleaching system ever developed. Call our office to ask about our special process. Office Visit – Our trained dental assistants will take a mold of your teeth to create a custom whitening tray that is ultra-comfortable. Along with the trays, you will receive whitening gel, tooth desensitizer, and instructions for at-home care. At-Home Care – For two weeks, you will wear the custom trays filled with whitening gel while you sleep. 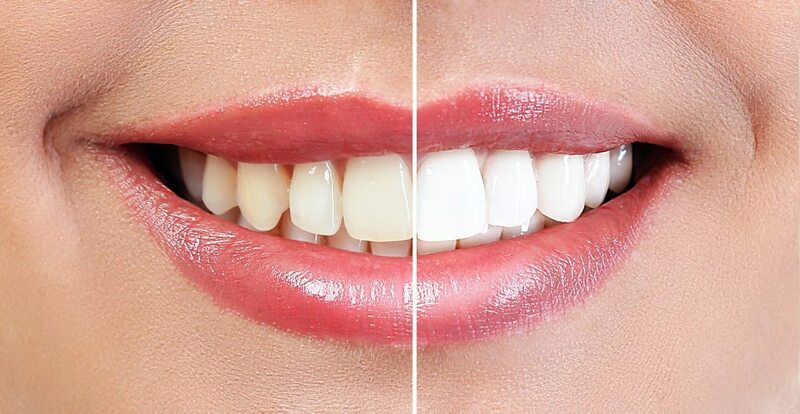 Research has shown that regular bleaching trays are ineffective due to saliva contamination – our unique design allows the professional grade whitening gel to be sealed in, avoiding leakage. In-Office Whitening – The final step in the KÖR Whitening Deep Bleaching™ System is an in-office teeth whitening session at our practice. Moving forward, it is recommended that you wear the trays filled with whitening gel overnight once per month in order to maintain your brilliant, white smile.